Last week we got three of the four monthly IDW titles published on the same day. 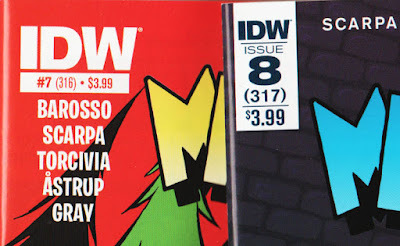 They all have a design change compared to earlier issues, where the IDW logo is smaller while the issue number is larger. 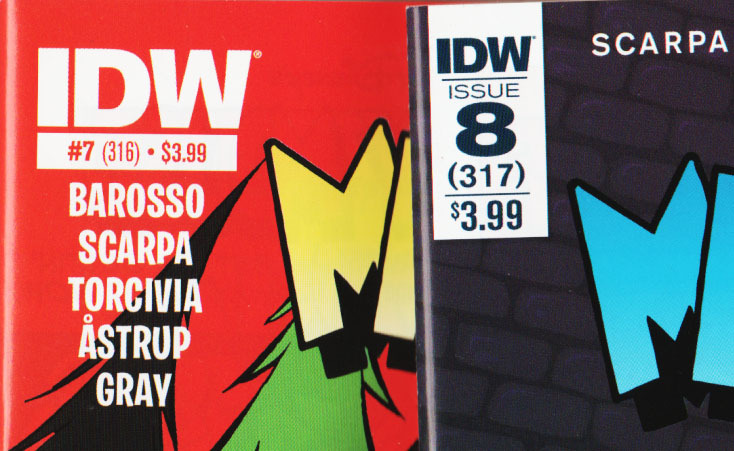 This change is not just for the Disney titles though, but for all IDW comics. Another change this month is that IDW stopped making the 1 of 25 retailer incentive variants. Instead the themed covers are now used as the subscription cover. This is good news, because now I can actually get the themed covers, like the Pirates of the Caribbean covers seen in the picture above! 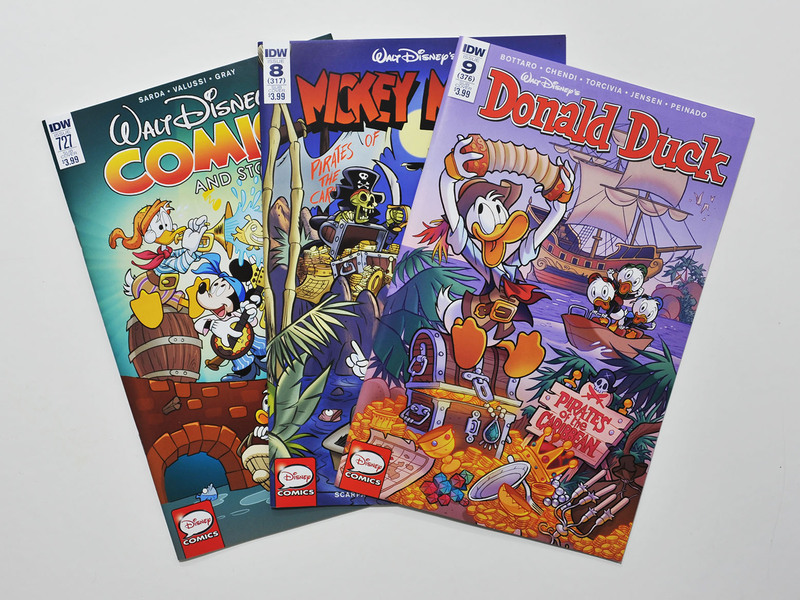 My local comic shop would never be able to sell 25 copies of a single Disney comic, so they can’t even get the 1/25 variants. And trying to get them on eBay or online comic shops is impossible without spending the entire comic budget on one single issue. So I’m glad they stopped making those. But for those wanting more variants; don’t worry. 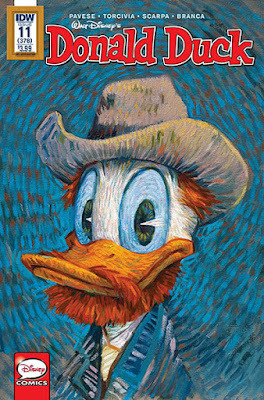 In April IDW has an "art appreciation month", and one of the comics getting a special cover variant to celebrate that is Donald Duck #12 (yes I know the pre-release cover is numbered #11, but I believe that is an error). And I’m sure we’ll see some convention covers or other exclusive covers later too.